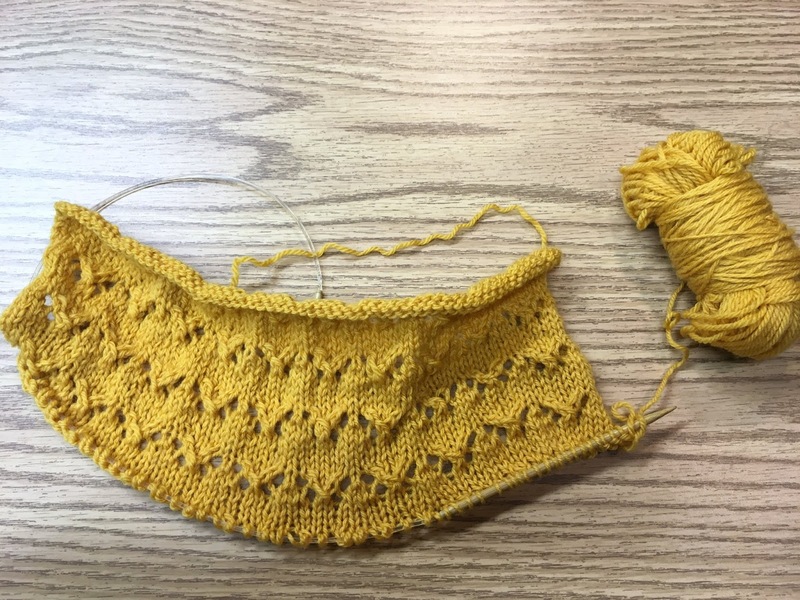 The Wayward Knitter: OAL Sweaters and Play Practice and Moving, Oh My! Oh, look! I have part of a sweater back! What a refreshing change! I've been working on my Hetty for the OAL at music rehearsals for the summer musical, and it's pretty much the perfect project for that. 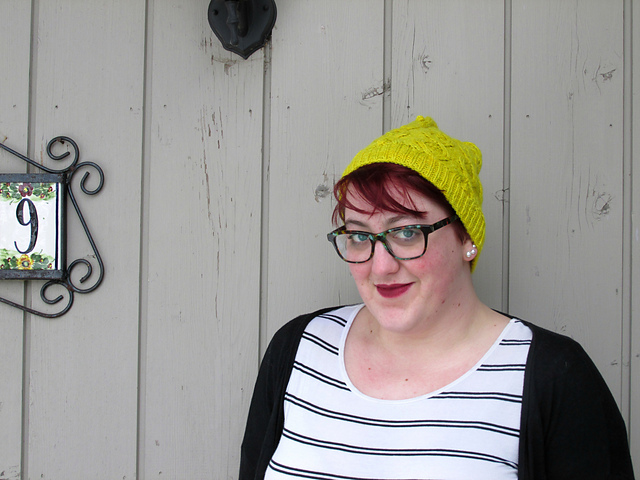 Of course, it helps that it's still small and in the beginning stages and that I've knit it before. 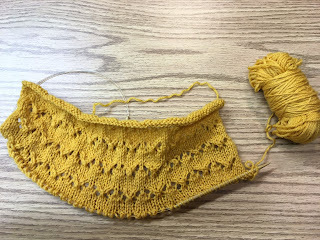 I had a bit of a mishap on Monday night- I realized that after the first repeat, I'd been shortening the repeats by two rows, so I had to rip out a few dozen rows. I'm almost back to the point I was at before that happened now, and it's been smooth sailing since then. My week is kind of a wreck right now, with play rehearsals every night and my move coming up on Friday. I'm probably not going to be posting on Friday or all of next week while I deal with moving and unpacking, but I promise lots of photos once everything's done!